On the occasion of the completion of demining project for the "Paraćin - 8" location, Paraćin Municipality, on 24th December 2016, completion ceremony was organized in Paraćin, which was attended by the management of the Mine Action Centre, representatives of the contractor Emercom Demining, local government representatives, representatives of the Sector for Emergency Management. 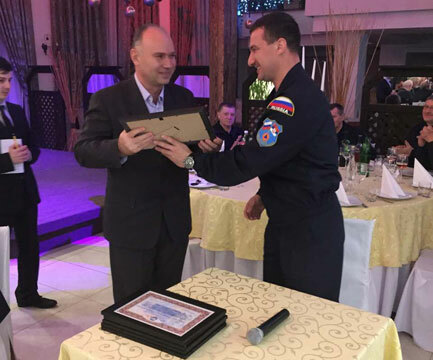 On this occasion, Deputy General Director of Emercom Demining, Mr Shevchenko, on behalf of General Director of Emercom Demining, Mr Zhavnerchik, handed over a certificate of gratitude to Director of the Mine Action Centre, Mr Simonović, for operational assistance in solving matters related to activities of the Russian-Serbian Detachment for Humanitarian Demining in 2016, and for generous expert assistance throughout the implementation of the "Paraćin-8" project. 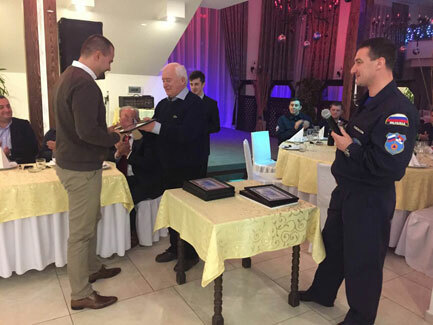 Furthermore, the "Paraćin-8" Project Manager, Mr Pilipchuk, handed over a certificate of gratitude to Senior Advisor for Supervision and Coordination of Demining in the Mine Action Centre, Mr Nikolić, for operational and expert assistance in quality control of cleared area of the Republic of Serbia throughout the implementation of the “Paraćin-8” project. This confirms the contribution of the Mine Action Centre to constructive solving of matters in the field of humanitarian demining. On 22 December 2016, demining operations in accordance with the demining project of the “Paraćin – 8” location were completed. 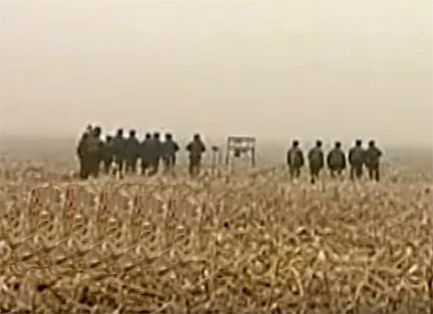 On this project developed by the Mine Action Center, which controlled quality of the works, demining was conducted by the Russian state agency "Emercom”, namely, its specialized organization "Emercom Demining", which for eight years in a row has been carrying out demining in the vicinity of the military depot in which occurred a fire and explosion on 19 October 2006. The project area totals 661,042 m2 and presents so far the largest annual project that "Emercom demining" implemented in Paraćin. More than 90 pieces of unexploded ordnance (UXO) were found and safely destroyed. By implementation of this project, the danger UXO poses to humans and the environment has been eliminated, contributing to an increase of security of population and creation of opportunities for the safe use of land and forest exploitation. 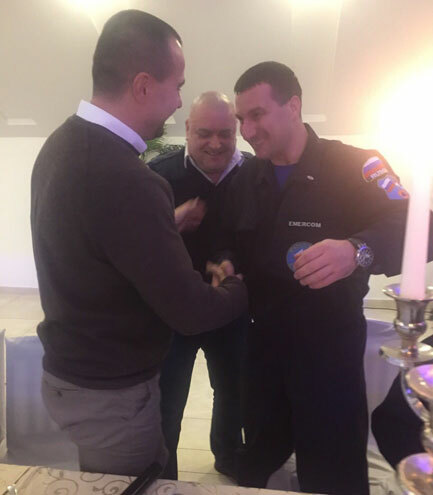 The project was funded by the Government of the Russian Federation within the assistance to the Republic of Serbia in demining territories and facilities. Since 2008, the Russian Federation has been providing assistance to the Republic of Serbia in the field of humanitarian demining. In addition to demining projects in Paraćin, 9 locations, in the period 2009-2015, and cleared area of 3,943,818 m2, where 12,505 pieces of various kinds of UXO were found and destroyed, 4 cluster munitions clearance projects in Niš were completed, where 741,379 m2 were cleared and 452 pieces of cluster munitions and other unexploded ordnance disposed. It is planned that in 2017, in accordance with the project of the Mine Action Centre, "Emercom demining" continues clearance of the area contaminated with various types of UXO and their remnants after a fire and explosion, which occurred in a military depot "Paraćinska utrine". The total area of ​​the project in 2017 is 775,200 m2, and the works will be carried out in the municipality of Ćuprija. 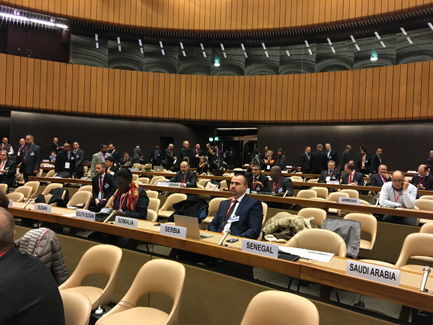 The 15th Meeting of the States Parties (15MSP) to the Convention on the Prohibition of the Use, Stockpiling, Production and Transfer of Antipersonnel Mines and on their Destruction took place in Santiago, Chile, from 28 November to 1 December 2016. At this meeting, States Parties and Non-States Parties, interested organizations and members of civil society had the opportunity to assess progress in implementing the commitments under the Convention, as regards mine clearance, stockpile destruction and victim assistance, and discuss how to achieve a common goal - a mine free world by 2025. The representative of the Republic of Serbia presented the overall specificity of the mine situation in our country, given that we are not dealing with classical minefields, but groups of mines that were emplaced in no pattern, which in terms of time and necessary financial resources aggravate their removal. In addition, previous results were presented, as well as the challenges the Republic of Serbia is facing while striving to complete clearance of the remaining mined area within the granted five-year extended deadline (2019) in order to protect its population, but also aiming to increase global human security, thus showing full commitment of the Republic Serbia to this Convention. In the period 16 - 19 February 2016, in Geneva, Switzerland, 19th International Meeting of Mine Action National Programme Directors and United Nations Advisors was held in Geneva. The meeting was organized by the United Nations Mine Action Service (UNMAS) and the Geneva International Centre for Humanitarian Demining (GICHD). In the context of the work of the General Assembly 70th session on the criticality of mine action in humanitarian assistance, as well as the preparatory process for the May 2016 World Humanitarian Summit, this year’s meeting was particularly focused on mine action in relation to the international humanitarian agenda. Representatives of mine action community had the opportunity to present the achievements and draw attention to the challenges they are facing. 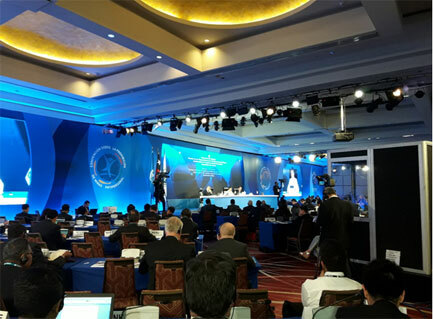 Innovative ideas were also presented, including the use of unmanned aerial systems for mapping, the development of new GPS systems for land release through mine detection dogs, and the use of mobile technology. The meeting was attended by representatives of donors, international humanitarian organizations, mine action centers around the world. The representative of the Republic of Serbia, Mr Jovica Simonović, Acting Director of the Serbian Mine Action Centre, in bilateral talks with representatives of donors and international organizations pointed out the problems related to humanitarian demining in Serbia, with special emphasis on Serbia’s granted five-year extension of the deadline for fulfilling obligations under Article 5 of the Anti-Personnel Mine Ban Convention (Ottawa Convention). Also, given that in the Republic of Serbia, apart from mine contaminated areas, there are also areas contaminated by cluster munitions, aircraft missiles, and other unexploded ordnance, and that clearance of these areas requires significant funds, he pointed out the need for an increase of international donations to support our clearance projects, so that the problems related to mines, cluster munitions and other unexploded ordinance could be solved as soon as possible.